Inbound Blue Line train at Del Amo station. Photographed by Lee Carlson NEW WEST COAST TRANSIT PHOTOGRAPHY KING!, February 9, 2009. Added to the photo archive by Lee Carlson, February 18, 2009. 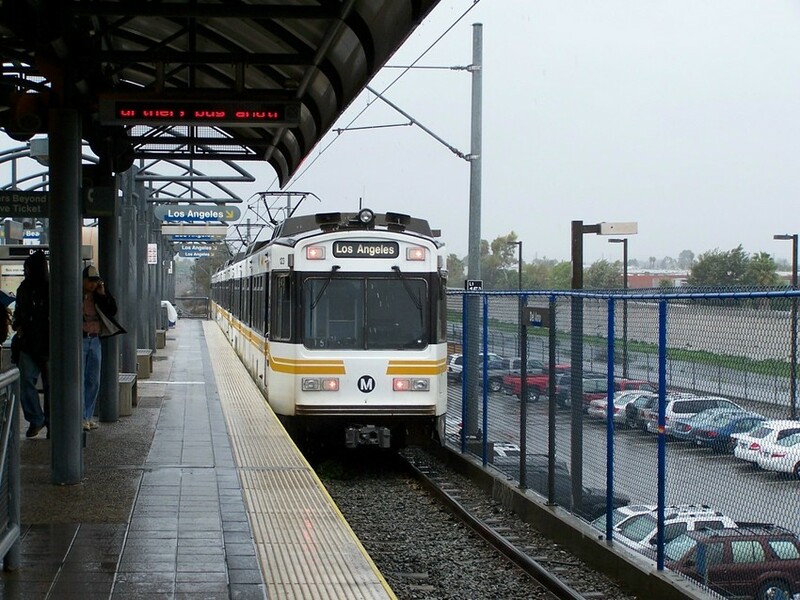 Railroad: MTA (Metropolitan Transit Authority - Los Angeles).